MCTV Archives · Stop the Cap! Another cable company has announced it won’t be bothering with DOCSIS 3.1 upgrades, deciding instead to ditch its coaxial copper network in favor of fiber-to-the-home service. 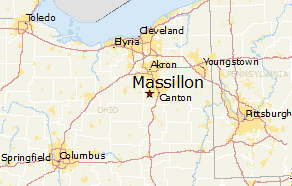 Massillon, Ohio-based MCTV announced it will begin gradually replacing its coaxial cable network with a new all-fiber system capable of delivering synchronous high-speed broadband to every customer it serves. MCTV is a small independent cable company serving more than 47,000 homes and business in Stark, Wayne, Summit, Holmes and Tuscarawas counties in northeastern Ohio, including the cities of Canton, Massillon, and Wooster. MCTV’s “Excellerate” service will use a Passive Optical Network (PON) to provide customers with 100/100Mbps service. MCTV already uses some fiber in its hybrid fiber-coax network, but what used to be sharing one fiber strand with 500 homes connected via coaxial cable will soon become sharing one fiber strand with 32 homes with no coaxial cable at all. Excellerate service is already available to customers in select areas and customers can arrange a fiber upgrade with a phone call to the cable company. The fiber upgrade will cost approximately $20 million and will not affect customer rates. Both MCTV and Cablevision have announced upgrades to all-fiber networks even as some industry-funded researchers and groups complain that the FCC’s 2015 decision to enforce its authority over broadband using the FCC’s Title II enforcement powers was dampening investment in broadband. Yet smaller cable companies are at the forefront of fiber upgrades, and are also the most vulnerable to an uncertain business climate. Title II appeared to have absolutely no bearing on MCTV’s decision to upgrade. Subscribers of more than 900 independent cable companies may face an unwelcome surprise this summer in the form of a mid-year rate increase. For years, members of the National Cable Television Cooperative (NCTC) have joined forces to negotiate for the kinds of volume discounts only the largest cable and satellite companies like Comcast, Time Warner Cable, DirecTV, Dish Networks, Charter, and Cablevision have traditionally received. NCTC members range from family owned cable operators, rural co-ops, community-owned providers, independent telephone companies, and small multi-system operators servicing multiple communities. With group-buying power, NCTC-member cable companies used to be able to negotiate volume discounts that could keep their rates competitive with larger providers. But as consolidation among major network media, cable, satellite, and phone companies marches on, only the largest operators — some directly affiliated with the cable programming networks — are getting the best deals at contract renewal time. All NCTC members combined serve just five million cable TV subscribers. 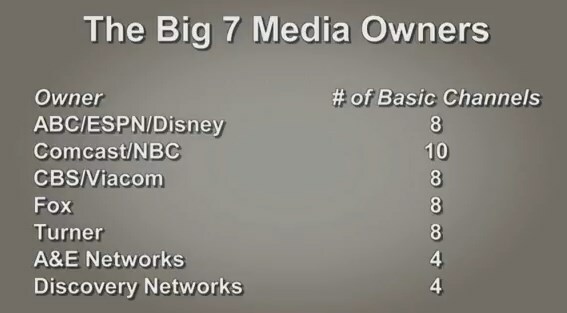 Comcast has 21 million, DirecTV: 20 million, Dish Networks: 14 million, and Time Warner Cable: 11 million. When NCTC’s contract with Viacom was up for renewal, the owner of networks like MTV and Comedy Central raised the renewal price more than 40 times the rate of inflation. In fact, Viacom’s asking price was so high, operators like Cable ONE pulled the plug on 15 Viacom networks for good and replaced them with other programming. 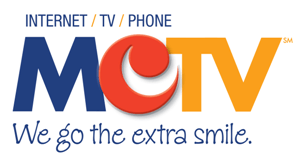 NCTC members eventually compromised on a deal to renew Viacom-owned networks, but customers of companies like Massillon, Ohio-based MCTV are paying the price in the form of a mid-year rate hike Bob Gessner, MCTV’s president, did not want to have to pass on to customers. One media company honcho recently stated that, “…content is such a fundamental part of daily life that people will give up food and a roof over their heads before they give up TV.” This shows that they have lost their perspective and the demands for huge increases will continue. Gessner has produced a 20-minute video that carefully explains to his customers what is going on in the cable programming industry and why providers like MCTV are forced to shovel networks onto cable lineups few customers want or watch and how the biggest cable and satellite companies are now negotiating volume-discounted renewal pricing at the expense of smaller providers. While the largest cable companies in the country secure lower rates through those volume discounts, programmers have found a way to make up the difference: demanding even higher rates for smaller cable companies to cover what they lose from Comcast and other big players. Gessner, as well as other NCTC member companies, confront huge programmers like Comcast-NBCUniversal, Viacom, Time Warner (Entertainment), Discovery and Disney that first demand 3-7 year renewal contracts with built-in, automatic annual rate increases averaging 5-10 percent, regardless of the ratings of their networks. Most also demand that all of their cable networks be carried on their systems, whether customers are interested in them or not. If these companies dream up new cable networks, like ESPN’s SEC Network and the Longhorn Network, MCTV is committed to carry those channels as well, even though they are of little interest to residents of northeastern Ohio where MCTV operates. These dream contracts (for cable programmers) are the single biggest reason cable-TV rates are skyrocketing. But Gessner says it gets even worse when those contracts expire. When renewal negotiations begin, programmers these days inevitably demand a “rate reset” which starts rate negotiations at a price 10, 30, even 60 percent higher than under the expiring contract. 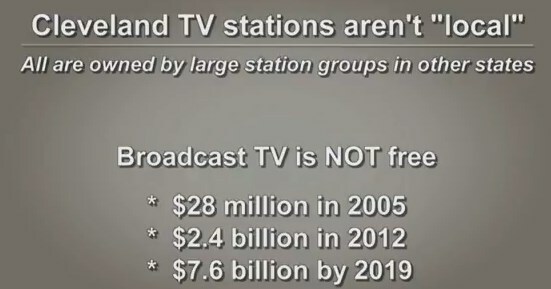 Those dollar amounts cover local station retransmission consent agreements nationwide. Gessner says he doesn’t know how much longer MCTV can afford to carry expensive networks like sports channels. If he drops them, angry subscribers could cancel cable service and switch to a provider willing to pay the asking price. Unless all of his competitors stand together, programmers will maintain the upper hand. Some cable companies, like Cable ONE, are starting to risk the wrath of their customers by refusing to negotiate for terms they consider unreasonable. When subscribers learned the reasons why Cable ONE dropped more than dozen Viacom channels, many were supportive because the company replaced the networks with other channels and promised to keep rate increases down because they won’t have to pass on Viacom’s higher prices. Viacom retaliated by locking out Cable ONE’s Internet customers from accessing any of Viacom’s free-to-view online programming. Gessner and other independent cable operators hope cable operators’ willingness to drop cable networks over their price is the start of something big — a pushback that could eventually force programmers to charge rational rates.